For all those little boys amongst us! 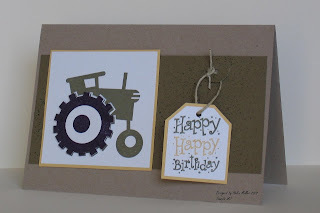 I designed this cards for all little boys who love trucks and tractors and the big boys of course. The card is made using Kraft, always artichoke so saffron and whisper white card stock. The tractor is stamped using always artichoke on whisper white. I stamped the tractor again using basic black on whisper white and carefully cut out the tyre mounting then card using dimensional's. The always artichoke card is spritzed using always artichoke makers and the spritzing tool. 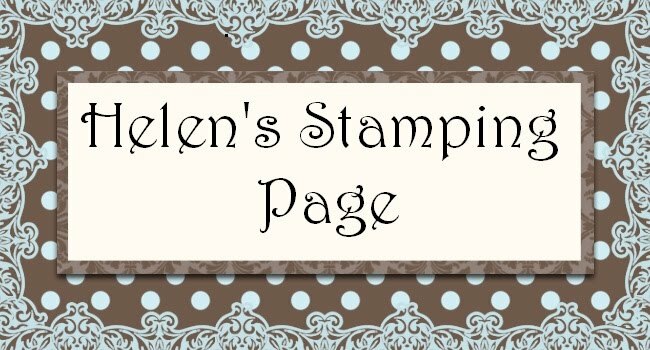 The tag was made by colouring the Happy Birthday stamp form All-Year-Cheer 2 using so saffron and always artichoke makers. I punched out the words with the tag punch and then mounted it onto so saffron card and attached to the card with hemp twine as shown.